Millionaire Harvey Huntington Honeywagon III tries to prove to his colleague Vivian Clements that his chimp, Clyde, is more intelligent than American teenagers. Meanwhile Dee Dee is torn between Frankie and British recording star, the Potato Bug. Eric Von Zipper shows up to aid Harvey's anti-teen campaign. Big Drag shows up with others in a gag bit part. 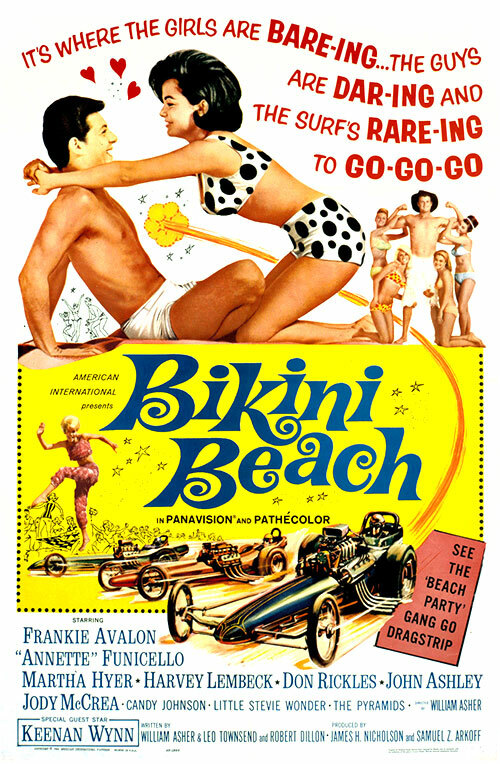 0 Response to "Bikini Beach (1964) William Asher"